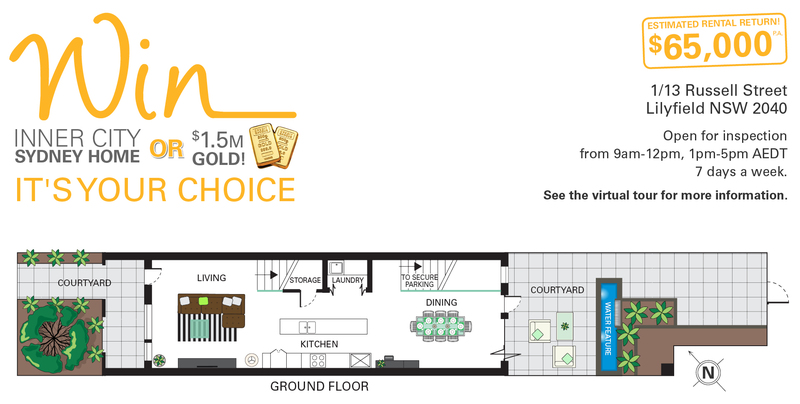 Win an Inner City Sydney Home OR $1.57M in Gold! Choose the View or the Gold! 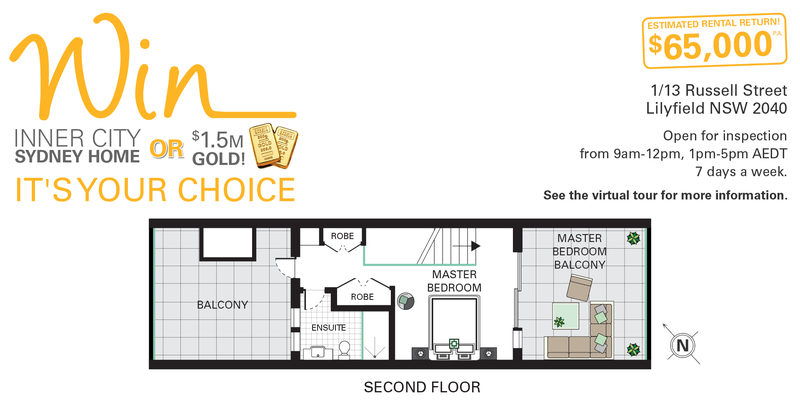 RSL Art Union is proud to offer you the chance to win an inner city Sydney home with spectacular Sydney Harbour Bridge and skyline views OR $1.5M worth of gold! Win first prize and you will have the enviable decision that will change your life forever. Choose inner city living in Sydney with panoramic Sydney Harbour Bridge and skyline views. Uninterrupted views of the iconic Sydney Harbour Bridge and city skyline. Enjoy inner city living in a luxurious three level terrace style home with chic, contemporary finishes and versatile open plan living areas. Secluded, north east facing courtyard, perfect for entertaining family and friends. 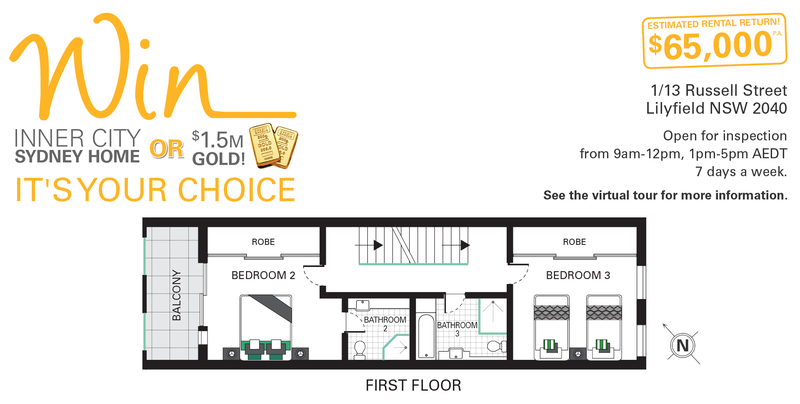 Private top floor master bedroom retreat with spacious balcony and ensuite. All bedrooms incorporate built-in wardrobes and two feature spacious ensuites. Secure parking for two cars – a rare luxury in Sydney! Features ducted air conditioning and security system. $86,067 worth of furniture and electrical appliances. 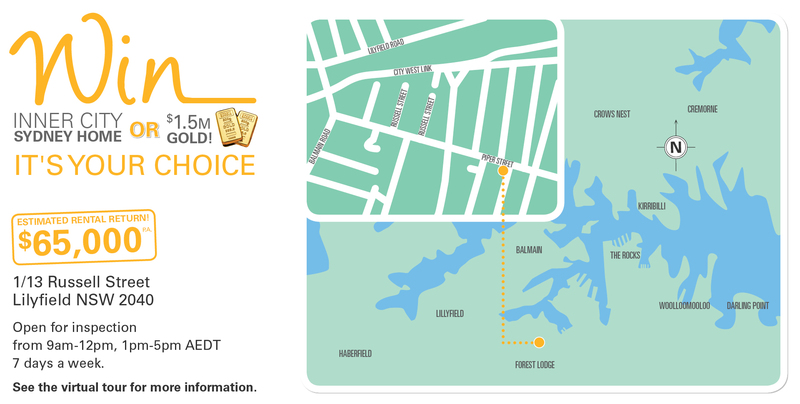 OR the lucky winner can choose $1.57 million in gold bullion, plus a $2,000 travel voucher to spend as you please! Pay off your mortgage and personal loans and enjoy living debt free!